Journalist, author, world traveler, sportsman, and syndicated columnist Robert Chester Ruark (1915-1965) was born in Wilmington on December 29. He started college at age fifteen at the University of North Carolina, graduating with an AB in journalism in 1935. He worked as a reporter for the Hamlet News Messenger and later transferred to the Sanford Herald. 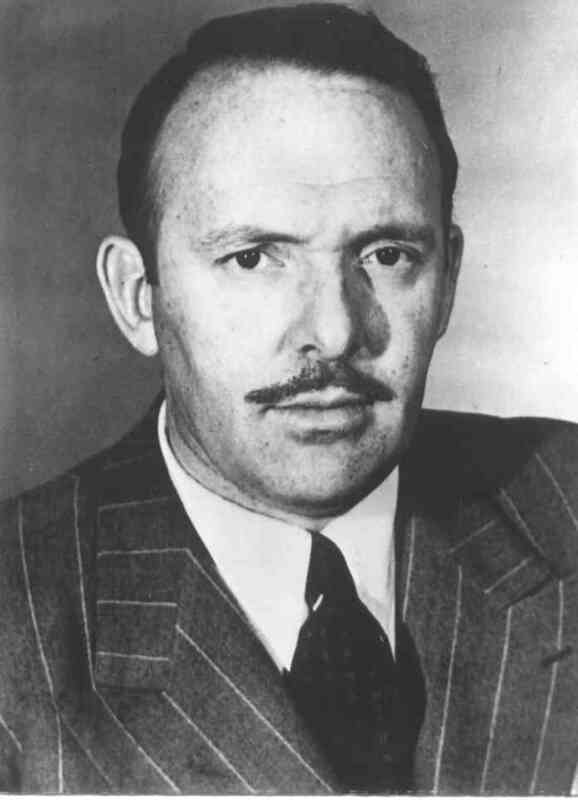 During the next few years, Ruark worked as an accountant with the Works Progress Administration in Washington, DC, enlisted as an ordinary seaman, and worked at the Washington Post and the Star before settling down at the Washington Daily News. In 1938, he married Virginia Webb, a Washington interior decorator. During World War II, Ruark joined the Navy as a gunnery officer and later became a press censor in the Pacific. He returned to the Washington Daily News in 1945, where his syndicated column made him a household name and earned him the then princely sum of $40,000 a year. In his column, Ruark revealed a gift for expressing aversion amusingly, often in a facetiously ungrammatical style. He aimed his stinging wit at psychiatrists, Southern cooking, army generals, the state of Texas, progressive schools, scheming women, and other pet peeves. His sharpest assaults were collected in two books, I Didn’t Know It Was Loaded (1948) and One for the Road (1949). During this time he also began writing fiction. With his first novel, Grenadine Etching (1947), he lampooned historical romances that were all the rage at the time. It was followed by Grenadine’s Spawn (1952). He also published articles regularly in the Saturday Evening Post, Colliers, Esquire, and Field & Stream. After 1950, Ruark began spending time in Africa, publishing Horn of the Hunter: The Story of an African Hunt (1953), about an African safari, and Something of Value (1955). Based on the Mau-Mau uprisings against British colonialists, this latter book took its title from an old Basuto proverb: “If a man does away with his traditional way of living and throws away his good customs, he had better first make certain that he has something of value to replace them.” The book was a major success, earning the author more than a million dollars from royalties and the film rights. Some critics disparaged Ruark as a Hemingway imitator, and some readers found the violence of his African novels shocking, but his writing easily stands on its own merits. For years he wrote a regular monthly column in Field & Stream entitled “The Old Man and The Boy,” in which he recounted his experiences growing up on the North Carolina coast in and around Southport under the tender guidance of his grandfather, who taught him the art of hunting, fishing, and training dogs. These columns were subsequently collected in two books, The Old Man and the Boy (1957) and The Old Man’s Boy Grows Older (1961), which chronicled the boyhood lessons learned-integrity, compassion, tolerance, and a deep and abiding love for the outdoors. After visiting North Carolina in 1957, Ruark settled permanently in Spain. Three more books followed. Poor No More (1959) was an embittered rags-to-riches saga set in the US and Europe. It was followed in 1962 by Uhuru, the sequel to Something of Value. Published shortly after his death, his last book, The Honey Badger (1965), concerned a North Carolina writer torn between work and women. Ruark died suddenly in London in 1965 and is buried in Palamos, north of Barcelona. Buy this book from your local bookseller or at Amazon.com.